State Supreme Court Justice Allen Loughry was the first candidate in the state’s history to utilize a public campaign financing program, and he did so successfully, winning his seat. In 2012, an advertising campaign featuring a brown haired boy in a suit, missing his two front teeth, hit the air in West Virginia. Justus Loughry was campaigning for his dad, Allen Loughry, running for an open seat on the state Supreme Court; running on West Virginia taxpayers’ dollars. Loughry was the first candidate in the state’s history to utilize a public campaign financing program, and he did so successfully, winning his seat. Justice at Stake is a nonpartisan group working to keep courts across the country fair and impartial. One major way they’re doing that is by running a campaign of their own, so to speak, one that supports judicial election contribution reform nationwide. They’ve teamed up with the Brennan Center for Justice, a nationally recognized think tank at New York University. “We think public financing is an important policy measure that more states should adopt,” said Alicia Bannon an attorney for the Brennan Center’s Democracy Program. West Virginia is one of only two states where candidates for the Supreme Court can opt in to a public financing program. The other is New Mexico. The study funded and released by Justice at Stake and the Brennan Center polled 1,200 people from across the country, focusing on the influence they believe campaign spending can have in the courtroom. Results show the general public believes that influence not only exists, but can have a major impact. “Up until this moment, we usually got a pretty reliable answer back through polls that we did, through polls that other organizations did, through a variety of different pollsters. No matter who asked the question, the answer would be the same,” Brandenburg said. The poll shows 87 percent of participants believe both campaign donations and independent spending by special interest groups have “some” or “a great deal” of influence on a judge’s decision. The Federal Election Commission limits how much money can be donated to a specific candidate's campaign, but special interest groups have no limits and can create their own advertising campaigns. An ad paid for by special interest group “For the Sake of the Kids” in 2004 claimed then Justice Warren McGraw was ruling in favor of trial lawyers who appeared before him in court after accepting campaign donations. 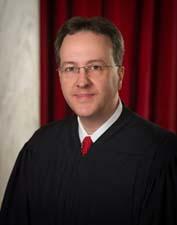 The special interest group was formed by former Massey CEO Don Blankenship in 2004 to campaign against McGraw, and it seems to have worked as McGraw was defeated by now Chief Justice Brent Benjamin. It’s instances like that Bannon said, where a millionaire takes an interest in court decisions and tries to assert their influence through contributions, the public is starting to pay more attention to. But House Minority Leader Tim Armstead doesn’t believe reforming judicial election spending is the best way to renew the trust the public has in their court system. Bannon agreed there are other areas of reform she would like to see taken on by the states, but over the past decade, states that hold competitive elections, elections where candidates face off against one another like in West Virginia, have seen an influx in spending. A majority of that money, however, is not going to the candidates themselves. Instead, it’s going toward creating those advertising campaigns and other materials. Bannon said public campaign financing is one way to level the playing field and make sure those candidates are focused on the law when they take office, not the interests of those appearing before them. She added, however, that is only one piece to the puzzle of reforming judicial elections nationwide and insuring the public can have confidence in their court officials. During the 2013 legislative session, a bill making the Supreme Court public campaign financing option permanent passed both the state House and Senate with only a small number of opposing votes. Armstead stood in opposition of the bill, saying he believes the majority of West Virginians are not in favor of using tax money to provide candidates funding for campaigns. Brandenburg, however, said West Virginia is on the right track passing the legislation and should continue to look for ways to improve that system. Bradenburg said Loughry’s ability to run a successful campaign on public dollars shows the state is leading the way in judicial campaign reform. Armstead added there is one type of judicial campaign reform he would support in the state. That change is a non-partisan election of judges.